Psychologies Magazine is the positive living bible focused on all aspects of personal potential and wellbeing, offering genuine food for thought and tools for living. It addresses what we´re really like, not just what we look like, by focussing on helping women understand themselves and the world around them. For women interested in intelligent topics like behaviour, personality and how the huge changes happening in the world of work and social media will affect them, this is an essential read. Each issue also includes a Q&A section offering advice to readers on the issues women face and exclusive and interesting interviews with celebrities. With subjects ranging from families, love and relationships to fashion, travel, food and culture, Psychologies has something for every woman. 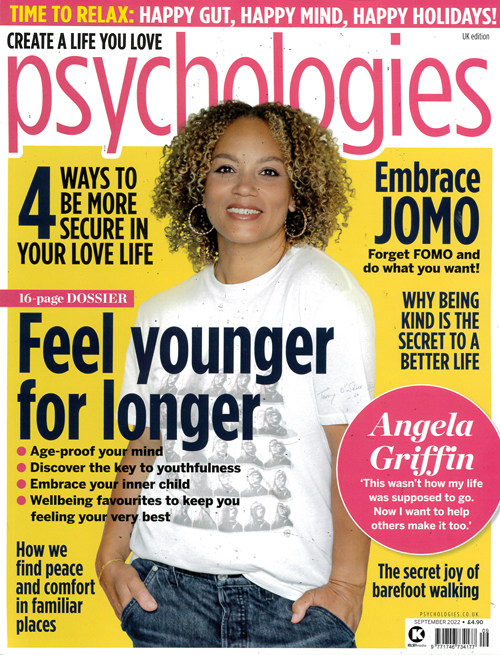 Psychologies is the magazine for life curious women that helps them know more, grow more. Published in English - Monthly. Allow 6-10 weeks for initial delivery.